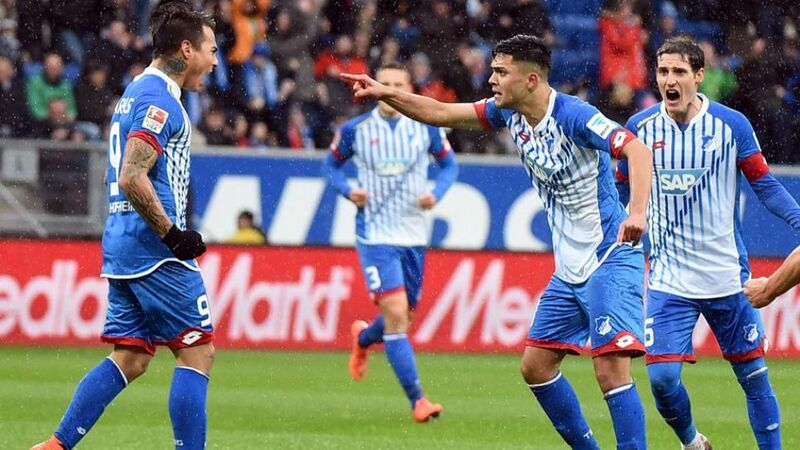 TSG 1899 Hoffenheim earned a crucial victory in their efforts to stave off relegation by beating 1. FSV Mainz 05 3-2 on Saturday afternoon. Hoffenheim were 18 points and 11 places behind their in-form visitors coming into this game, but there was no visible difference in quality between the sides in a fiercely-contested first half. Mainz edged ahead early on through Colombian striker Jhon Cordoba but the home team hit back almost instantly, Eduardo Vargas teeing up teenager Nadiem Amiri to slot home the equaliser. Uth only had three shots on goal but scored with two of them, his clinical finishing vital in sealing three priceless points for the hosts. This was just the second game in charge for 28-year-old Hoffenheim coach Julian Nagelsmann, and his maiden victory will do wonders for the confidence of a team battling the drop. Cordoba’s strike was his first Bundesliga goal this season.Hoffenheim have now scored a league-high seven times in the opening 15 minutes.Uth netted his first Bundesliga brace in his 15th top-flight outing.